Home Contests and Freebies Globe Telecom The Super One Android Contest: Win Samsung Galaxy S! 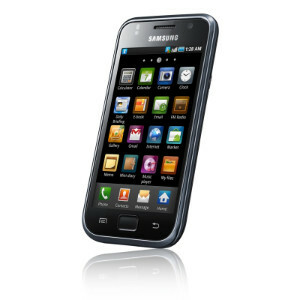 The Super One Android Contest: Win Samsung Galaxy S! 3. Tag @Talk2Globe. Don’t forget the #MySuper1 hashtag, the bit.ly link, and your Super One! It’s that easy! Promo period is from July 26, 5pm to August 2, 5pm. The winner will be announced by @Talk2Globe on August 2, 2010 anytime from 6pm – 7pm, as well as here at the Globe Tattoo Blog! It’s a raffle so the more tweets you post, the more chances of winning! So start tweeting about YOUR SUPER ONE now and get a chance to win a cool new Android phone! Want to know more about Super One? Click here to go to the Super One page and subscribe to this new service now!